If you're used to spending long days on the rock and want a harness that offers the most comfort possible, the Edelrid Solaris women's climbing harness is the one for you. Designed to fit a range of female body shapes, the Solaris features wide, 3D moulded, vented padding with optimised load distribution technology. It also features a clever double buckle which allows the waist belt to be adjusted to comfortably fit a range of hip shapes, while 3D formed, adjustable leg loops mean you can get the fit just right. 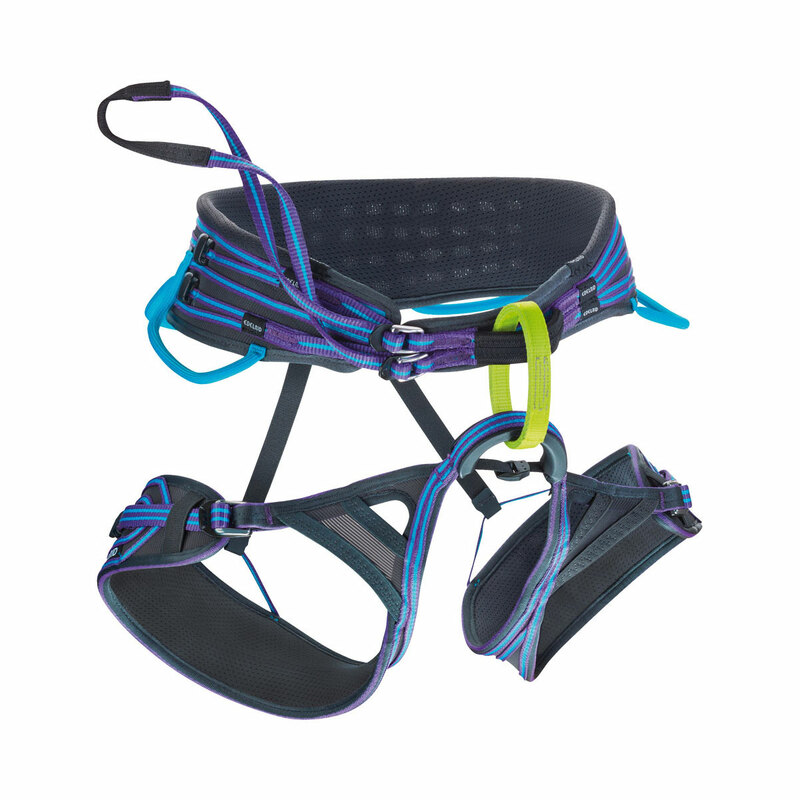 Perfect for long multi-pitch climbs, big wall climbing or any kind of climbing that involves a lot of hanging around, the Solaris comes up trumps in terms of comfort.